Just because doing laundry in college isn't fun doesn't mean that you can avoid it altogether. Those stinky, dirty clothes will pile up until you're left wearing your dorm bedding sheets! 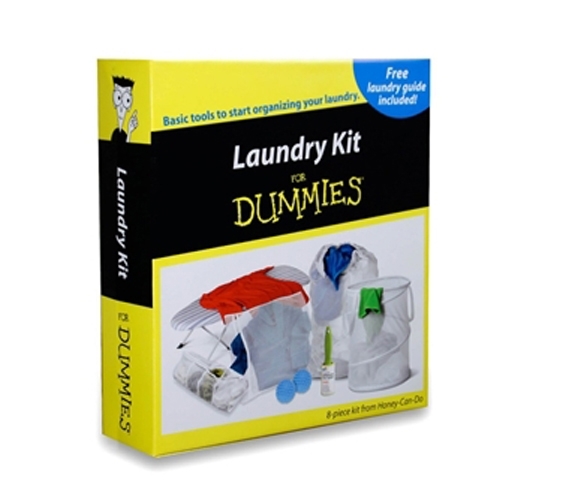 Even if you don't know how to do laundry, ignorance is no excuse, especially not if you have this Deluxe Laundry Kit for DUMMIES (8 Piece Kit). This kit includes a how-to laundry guide, which will teach you the ways of laundry if you've never done a load of laundry in your life. It also includes all your essential college laundry supplies, save some quarters and soap. Still, with this kit, you can check off any laundry-related items from your college shopping list. This laundry kit for college students will not only have you doing your own own laundry, but you'll be doing it properly. 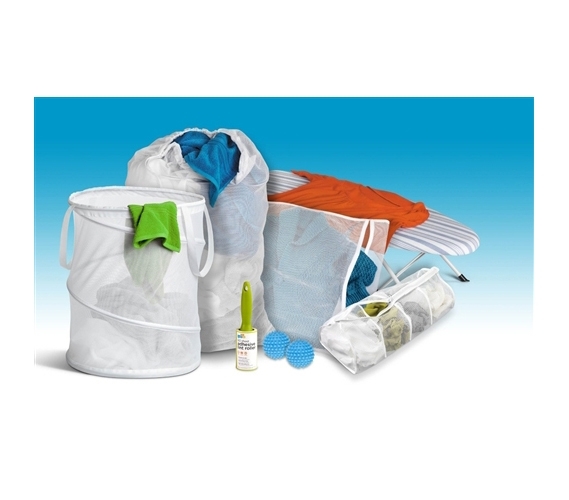 There are multiple mesh hampers for college, so you can separate your clothes accordingly. While most other students might have their college essential laundry supplies covered, you'll have some bonus dorm accessories for laundry, such as the handy folding table ironing board and the fabric-softening dryer balls. These extra college items make for better results when it comes to having the cleanest and most well-cared-for clothes! And don't forget, if you're looking for a high school grad gift that's not only a useful college supply but is cheap and humorous as well, this college kit is perfect!